Qualcomm has announced that it will end its pursuit of NXP Semiconductors, a Dutch company known for automotive and IoT chips. Qualcomm bid $44 billion for the company in February, but the deal failed to win the necessary approvals for completion. Qualcomm will now have to pay NXP a $2 billion breakup fee. Qualcomm first offered to buy NXP for about $38 billion in October 2016. Every country reviewing the acquisition granted its approval except China. The deadline to close the deal was extended several times as the companies waited for China to approve or deny the merger. Qualcomm now sees the likelihood of an agreement as very slim, according to a person familiar with the matter. The move to end the pursuit of the acquisition now frees up the cash the company had set aside to pay for the NXP deal. Qualcomm CEO Steve Mollenkopf said the company plans to put $30 billion toward a stock repurchase program. Qualcomm currently facing legal pressures around the globe for allegedly anti-competitive patent licensing practices. The company makes most of its money licensing smartphone radios and chips. Three years ago, China fined the company nearly $1 billion for an antitrust issue. That fine was surpassed in January when the European Union fined it $1.2 billion for antitrust violations. Qualcomm is also facing lawsuits from two of its biggest customers, Apple and Huawei, over royalty payments. 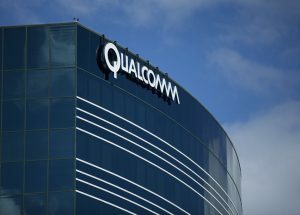 Refusals to make the payments while the cases wind through the courts have damaged Qualcomm’s finances. Qualcomm has countersued for the full amount of the owed royalties and for damages.